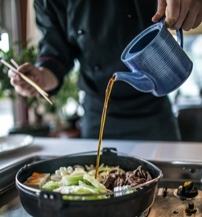 For a traditional Japanese kitchen, an intimate environment, exceptional, first-class service and high quality food, try the Fuji Japanese Restaurant. Fuji was one of the first Japanese restaurants in Budapest. 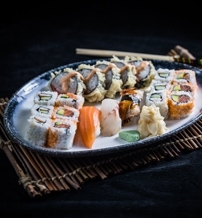 Its menu offers authentic Japanese flavors, made of fresh ingredients of the highest quality - which are the basics of good nutrition and eventually a healthy, long life. Fuji's elegant Tatami rooms are perfect for business meetings and family gatherings alike.